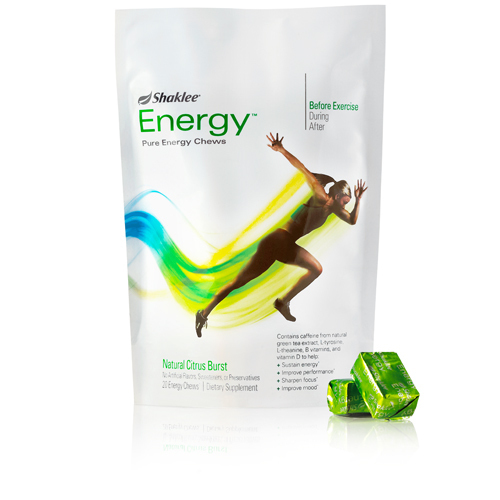 Get healthy energy + focus in a tasty citrus chew. Each Energy Chew delivers a scientific blend of caffeine from natural green tea extract, plus L-tyrosine, L-theanine, B vitamins, and vitamin D. And there are no artificial flavors, sweeteners or added preservatives you'll find in other energy products. 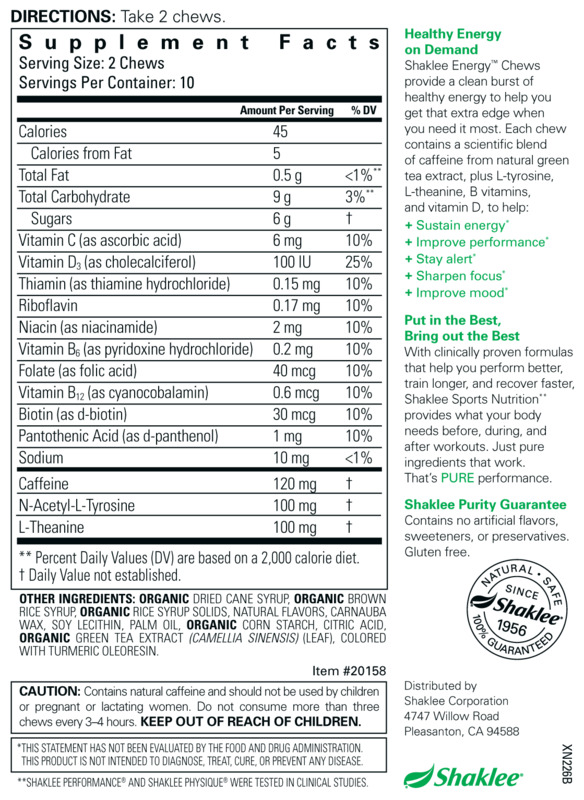 Each Energy Chew delivers a scientific blend of caffeine from natural green tea extract, plus L-tyrosine, L-theanine, B vitamins, and vitamin D.